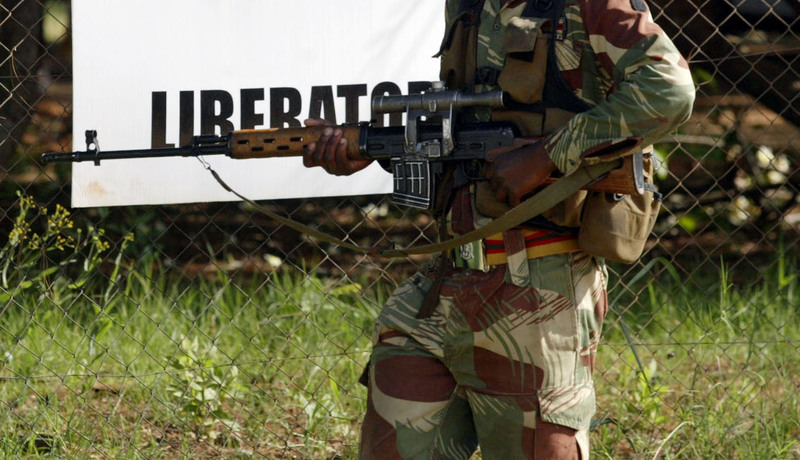 A looting soldier was allegedly shot by a businessman while leading residents to loot at Ashes Supermarket in Bulawayo. An eye witness who spoke to Bulawayo24.com said, "One protester who was shot in Nkulumane 12 by a businessman is said to be soldier. He was shot at Ashes Supermarket. On the day of the looting he was wearing civilian clothing but the residents know him." "After being shot by the businessman an army ambulance came and collected him because he was bleeding profusely." The testimony by the witness cements the circulating allegation that the operation to loot shops was led by elements of the Zimbabwe Defense Forces, National Youth Service graduates and ZANU PF Youth league members. On Thursday some ZANU PF Youth league members were hauled before the courts for invading a PUMA garage owned by former minister Webster Shamu during the violent protests. Another eyewitness from Nketa told us that a white Isuzu pickup truck carrying men in civilian clothing was moving from Nketa 6 to 9 and Emganwini dropping off men in plain clothes who led residents in breaking down doors in shops and to loot and burn the shops. "People who were breaking shops came with a white Isuzu bakkie and were dropped in various shops. People only started looting when the shops were opened." The eye witness said. "The same group went to break the shops again at eMganwinini." One ex-military officer who spoke on condition of anonymity said, "On Monday I was seated by the roadside in Chitungwiza watching the road. I saw a group of young men with almost shaven heads jogging, they were very fit. They swiftly took car tyres set them on fire and put them on the road. They then started running. "Those boys were too fit for ordinary men. And the bravery and the resilience they had to overpower police men shocked me. "The boys also led in the destruction of shops and safeguarded people as they were looting in Chitungwiza. I have my own suspicions but to tell you the truth, those boys who led the residents were not ordinary boys from the ghetto. Yes ghetto boys developed courage when they saw some of the guys overpowering police even inside police stations and joined in the operation."